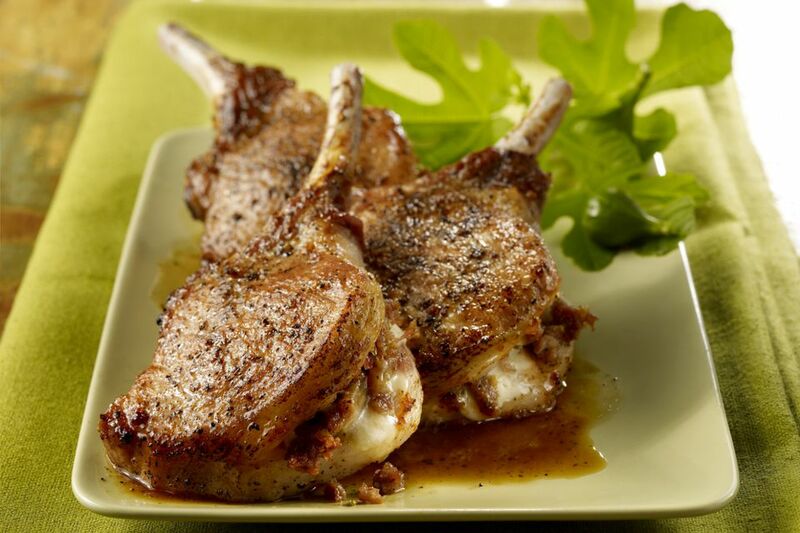 These stuffed pork chops are an excellent choice for a special occasion. The pork chops are stuffed with a mixture of bread crumbs, apples, and pecans, making them fancy enough for a special meal. And the pork chops are easy enough to scale up and prepare for an everyday family dinner. This recipe is for a dinner for two, but please feel free to double this recipe for a family meal. Trim the pork chops of excess fat; make a pocket in each by cutting horizontally through to the bone. In a bowl, combine the bread crumbs, onion, apple, pecans, garlic, parsley, cayenne, pepper, mustard, cumin, and vegetable oil; mix well. Divide the mixture and fill each pocket with as much stuffing as possible. Place chops in a greased baking dish. Pour the broth and wine over them and add the bay leaf. Add leftover stuffing if there is any. Cover and bake at 350 F for about 1 hour, or until tender, basting occasionally with the pan juices. Spoon the cooking juices over the pork chops and serve them with potatoes or rice. Add a simple side salad or steamed vegetables for a memorable meal. "I had never made a stuffed pork chop before trying this recipe and I must say I'm sold! Juices from the stuffing seep into the pork and vice versa in the most delicious way." — B.R. "I really enjoyed this recipe. The sweetness of the apple goes nicely with the pork and I love the crunchiness from the pecans. Will definitely make again!" — A.C.